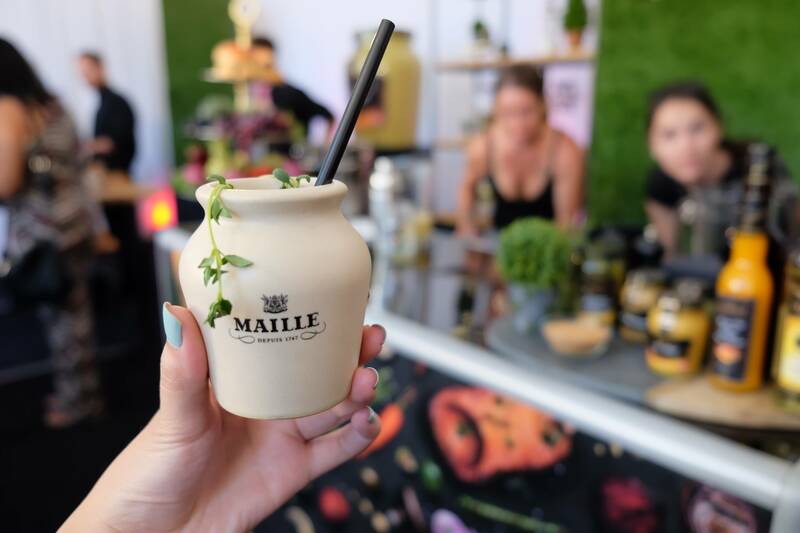 Last month, I was invited to the Maille Flavour Studio at the Columbia StrEAT Food Truck Fest. 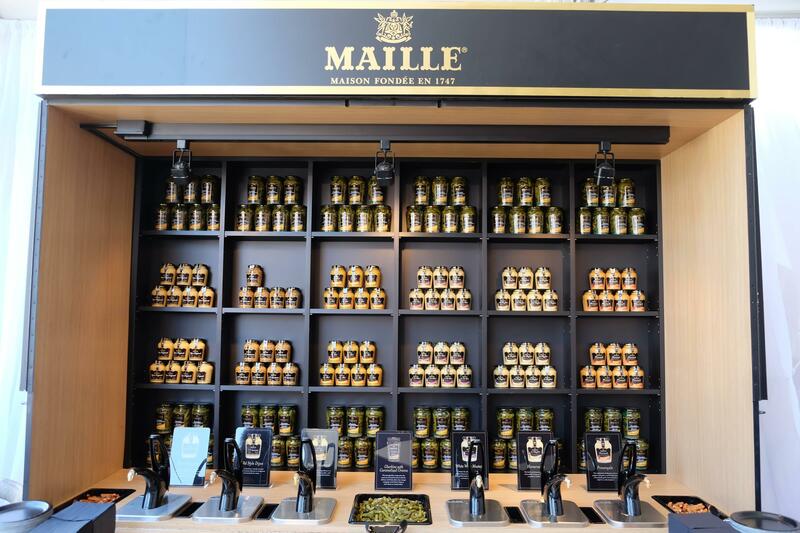 La Maison Maille has been around for amount 300 years now and originated in Marseille, France. They have boutiques around the world including London and New York, but unfortunately not in Vancouver. You can find select items in Loblaws or Urban Fare though. 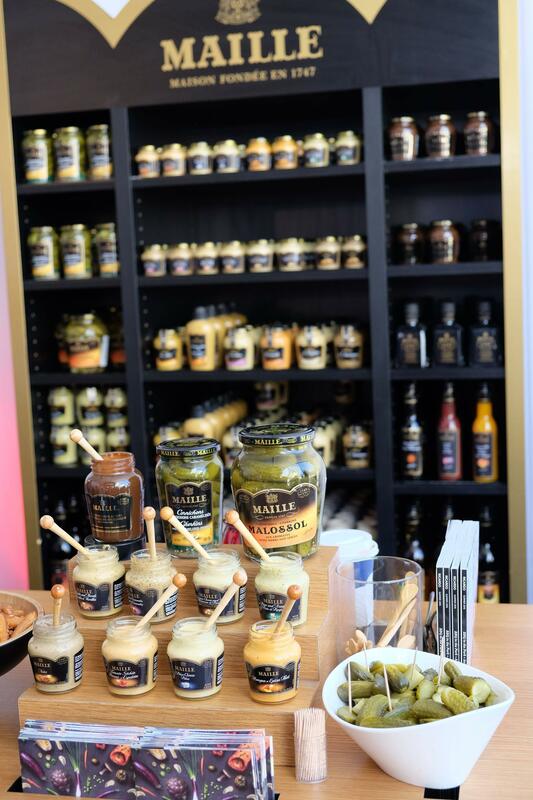 Other than their classic dijon mustard, they also carry cornichons and flavoured mustard. 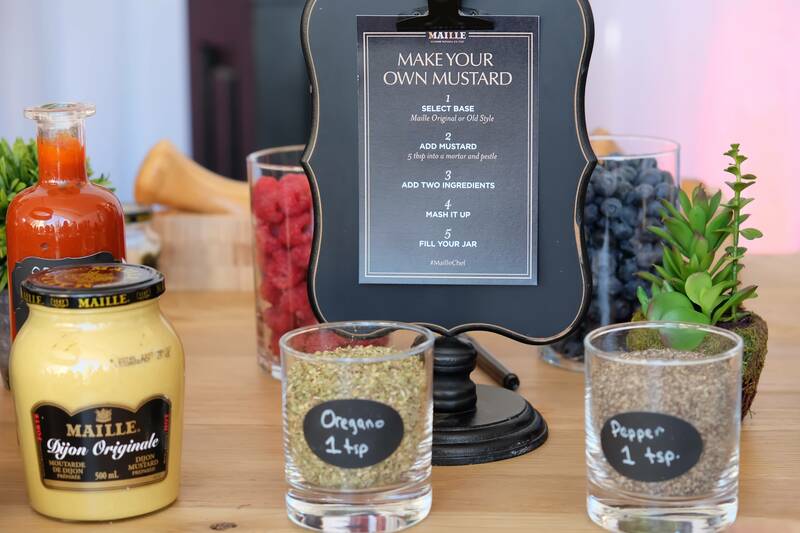 The flavoured mustards are great for pairing with pretzels and crackers. Some of the flavours include Parmesan Cheese and Basil, Blue Cheese, Pesto and Arugula, and Mango and Thai Spices. When I think of mustard, I automatically think of hot dogs. 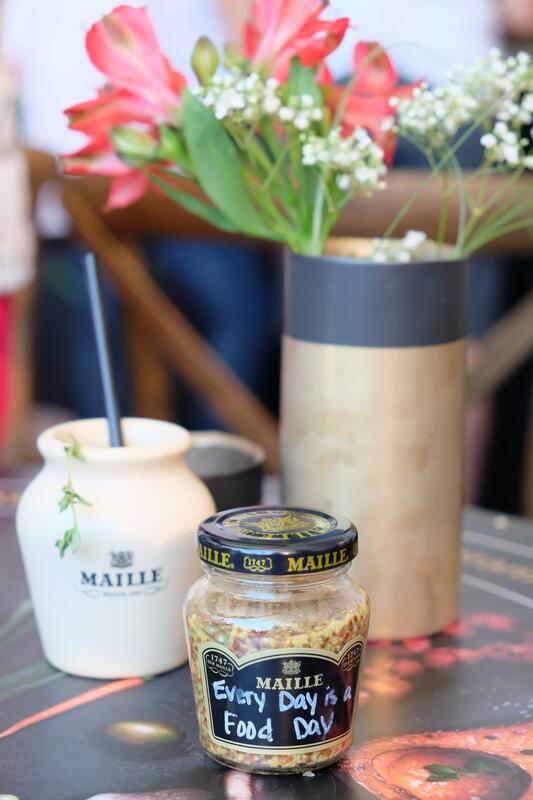 But after attending the Maille event, I was amazed at all the recipes that mustard can be incorporated in. 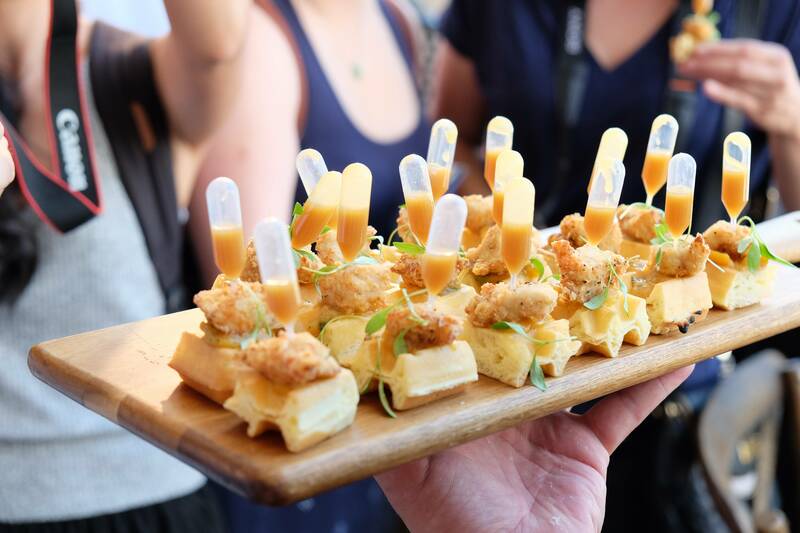 First up was these bite sized Peach Chutney Glazed Waffles with Maille Honey Mustard Fried Chicken. I loved how the honey mustard came in the little pipettes and you squeezed the mustard into the chicken as you pull it out. 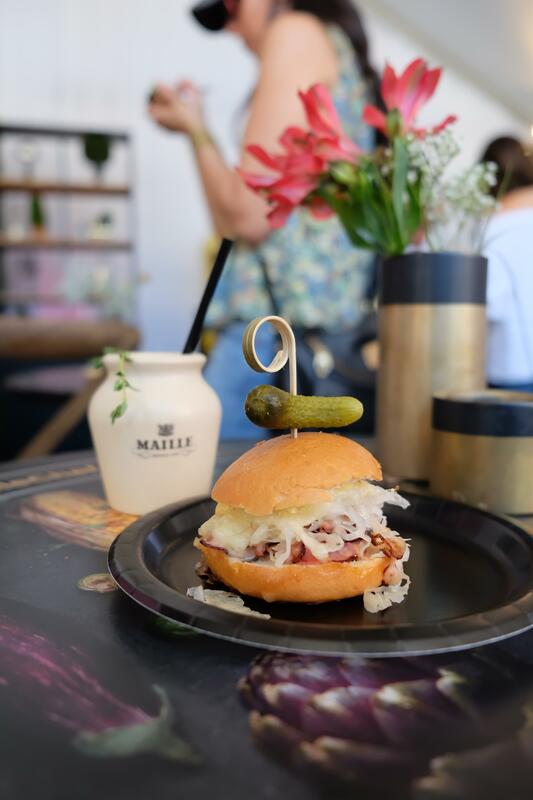 Another favourite was the Steak, Coleslaw and Honey Mustard Slider topped with a cornichon. 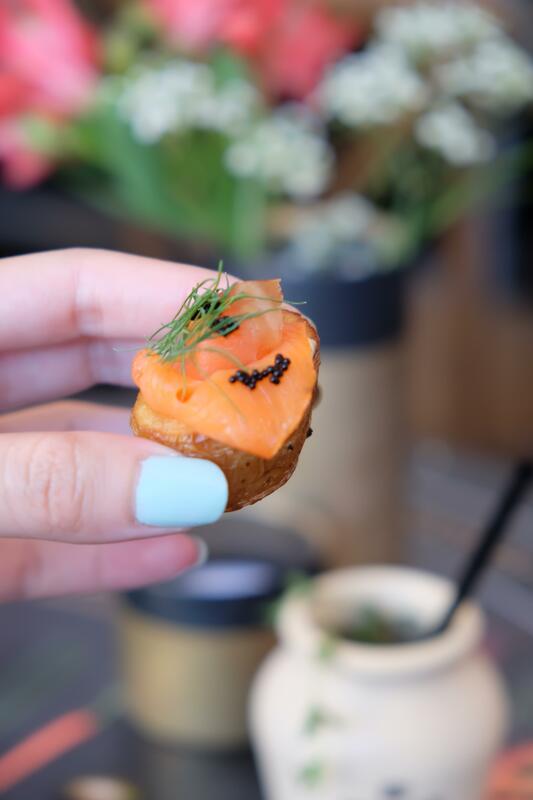 Smoked salmon and mustard also pairs very well! Wait, dessert and mustard? Yes, apparently you can use mustard in sweets! 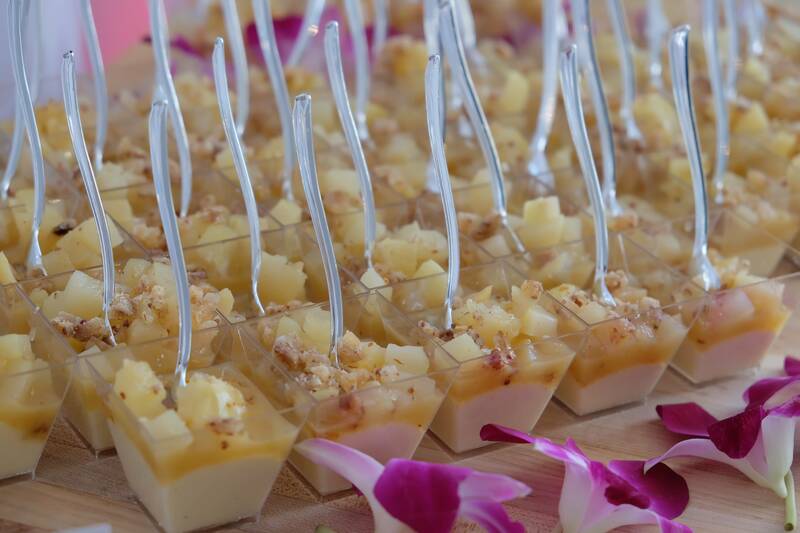 Served in verrine with bourbon mascarpone mousse and a pommery mustard praline topping, these were a delicious treat! Okay, so mustard can be used to make desserts, but what about cocktails? Yes! This was definitely a huge surprise for us. You can find more recipes for cocktails and other dishes on their website! 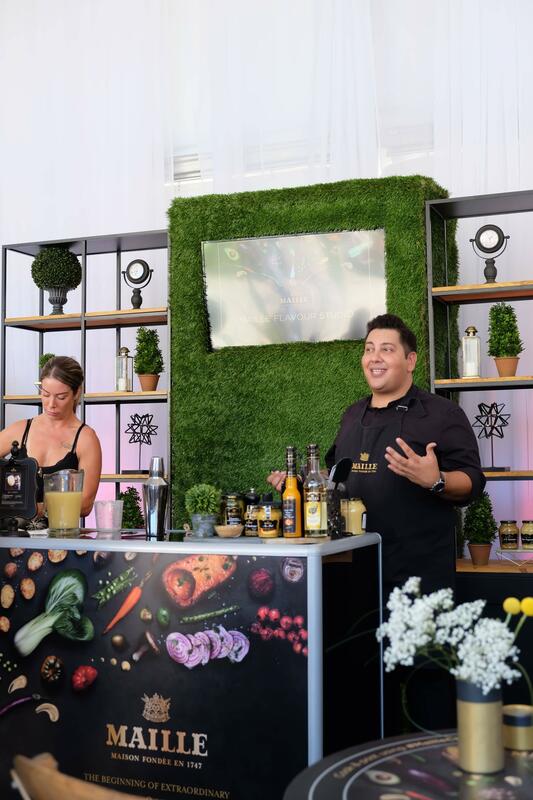 Halfway through the event, mustard sommelier Harry Lalousis showed us how to make a mustard vinaigrette perfect for salads. He knows everything about mustard and I’m amazed at all the recipes he’s made with mustard! Then we got to the fun part! 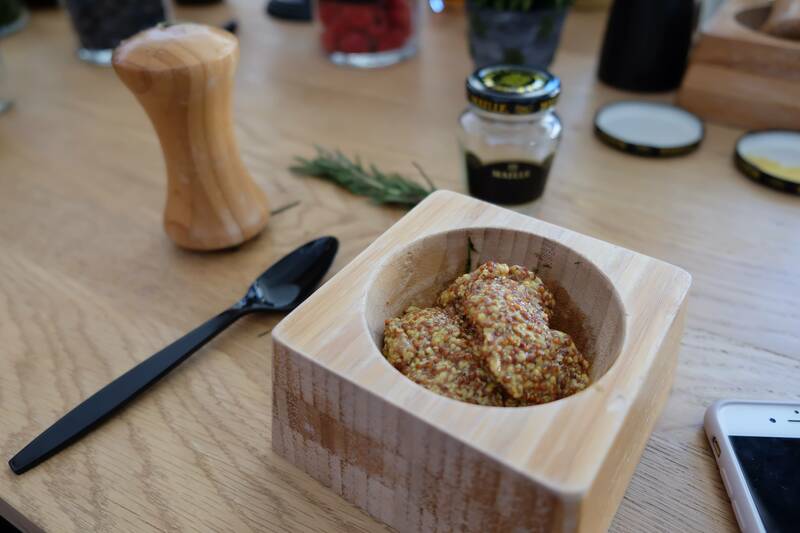 We got to make our own mustard! At the event, the public was able to do this for $2 which is a pretty good deal! 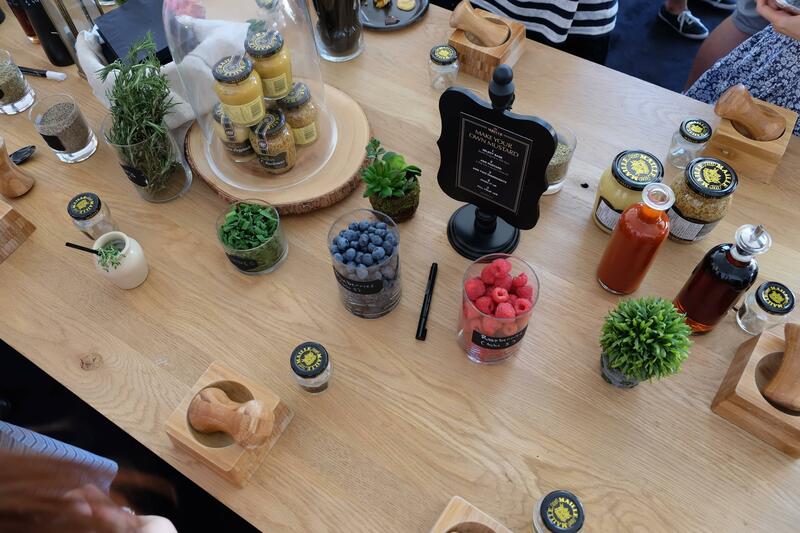 The stations are set up with a variety of ingredients that pair well with mustard including fruits and herbs. 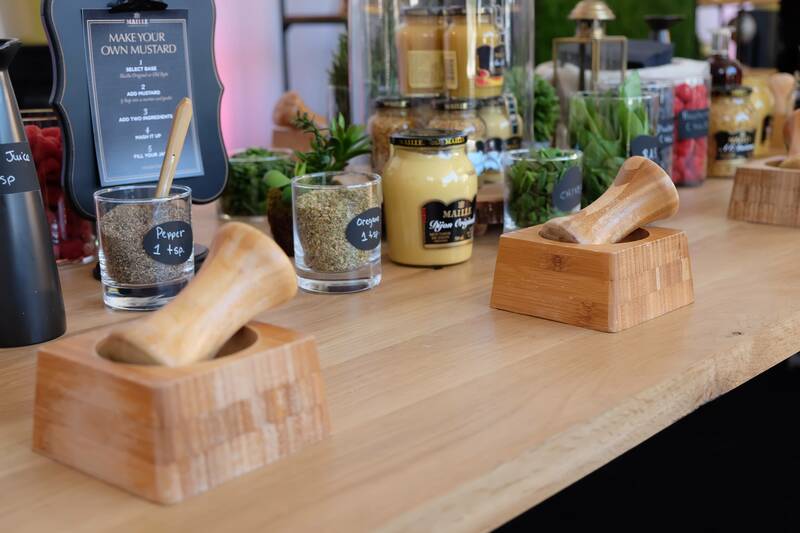 Everyone gets their own mortar and pestle. For my mustard, I decided to add rosemary and lemon juice. 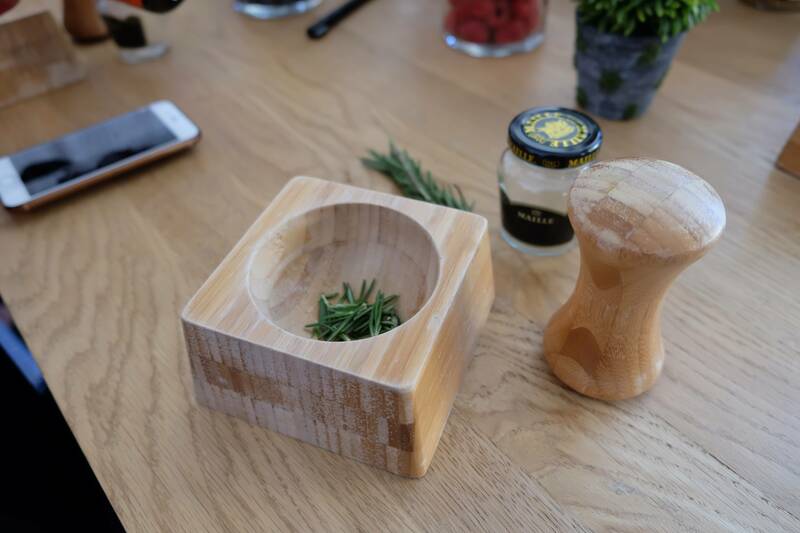 You really have to grind up the rosemary leaves! You can then choose to add either the Old Style Grainy Mustard or the smooth Dijon Mustard. I decided to go with the grainy mustard since I love this paired with meats and cheese on a charcuterie board. Mixed it up a bit and there you have it! My own creation of mustard! K made a raspberry infused one and it was surprisingly very good as well. 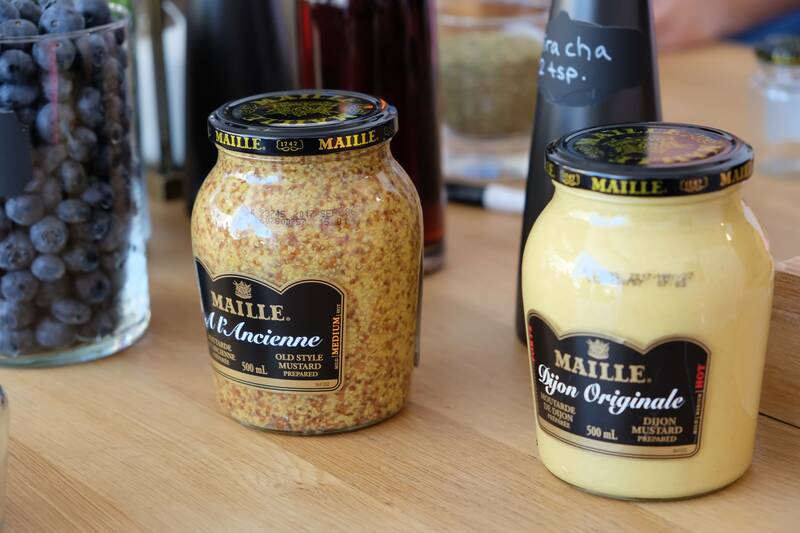 We’ve already been using our mustard with our dishes including pairing it with our rack of lamb. Delicious! 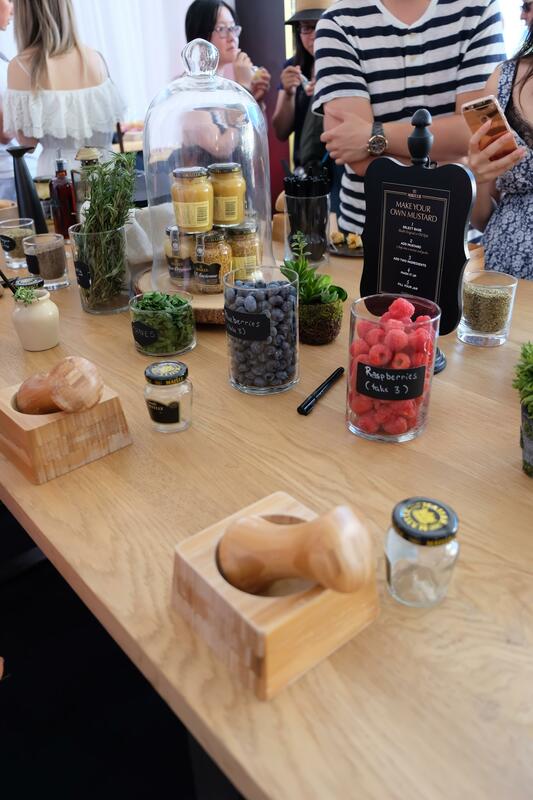 Overall, it was lots of fun learning all about mustard and the ways you can incorporate it in your dishes. 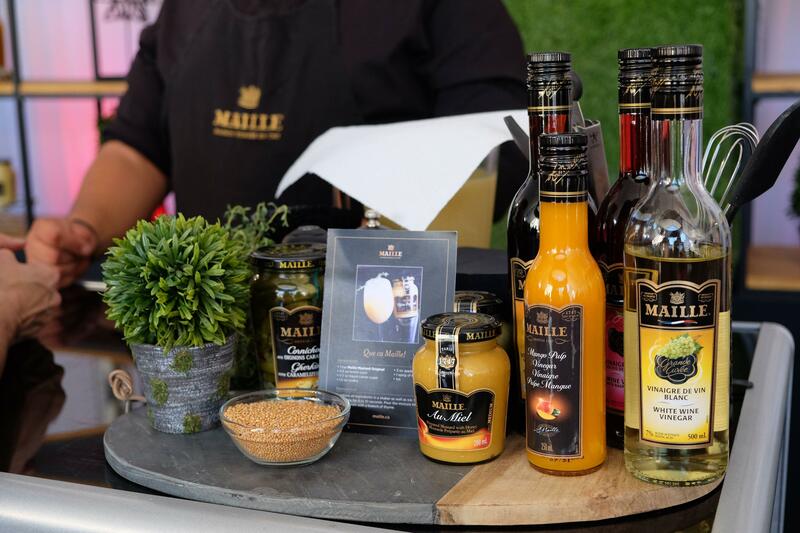 You won’t want to go back to the generic brands after you try this gourmet brand of mustard, Maille!